SactoMoFo promotes mobile food in the Sacramento region. 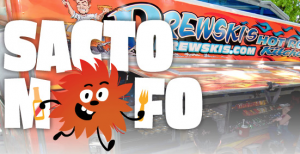 SactoMoFo and the small business owners that belong to this group are savvy marketers and heavy users of social media, such as Twitter and Facebook, to get the word out to their fans and announce daily locations for the various food trucks. 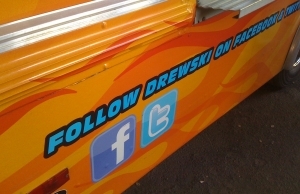 Mobile food trucks like Drewski's rely on social media. 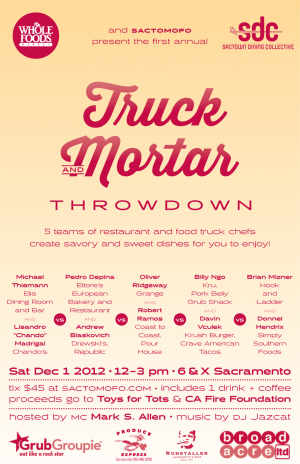 SactoMoFo also organizes events that feature many of the vendors, such as the Truck & Mortar Throwdown. These events can generate a great deal of traffic for the mobile food trucks on the day of the event, but they’re also valuable for the buzz they create within the food community. Evidence of the success of Sacramento’s mobile food trucks – and their shrewd marketing efforts – is the fact that some of these vendors are expanding by opening brick-and-mortar establishments. The very successful Krush Burger is planning to open a restaurant in December 2012, and Wicked Wich recently opened Broderick Restaurant & Bar in West Sacramento. At least a couple of food trucks operate restaurants inside other establishments such as Drewski’s Hot Rod Kitchen within Republic Bar & Grill. Clearly, the mobile food truck has proven a good model for how to start and grow a business. The marketing approach, with its heavy reliance on social media, may be new, but the business model is based on a tried-and-true formula: start small, develop a good product that customers are hungry for, build a loyal fan base, and then expand. Those of us who are starting or running small businesses (whether in food and wine or not) can learn a lot from their success. PS. Mobile food trucks aren't the only ones who appreciate the value of social media. Many large, successful wineries get the value of social media too.